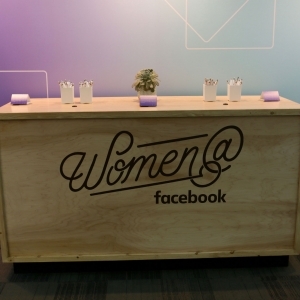 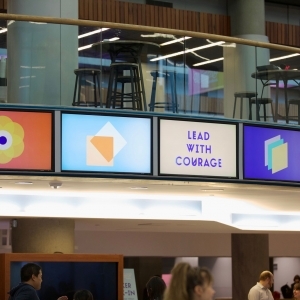 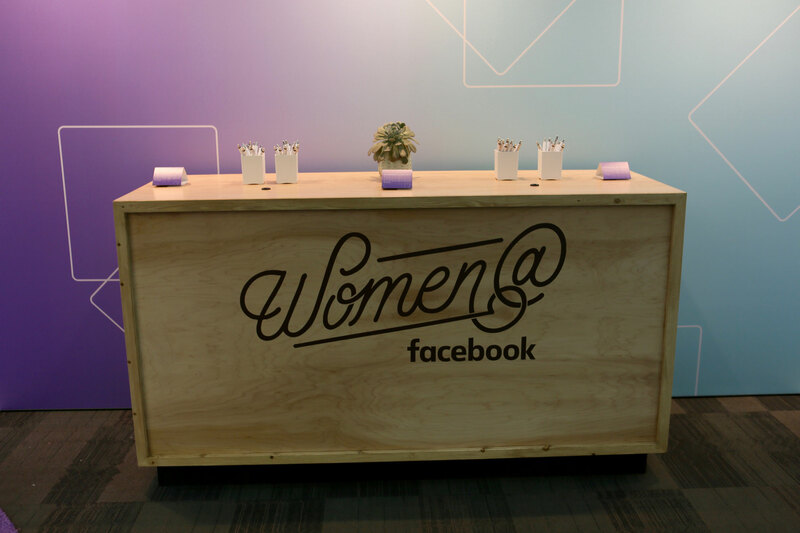 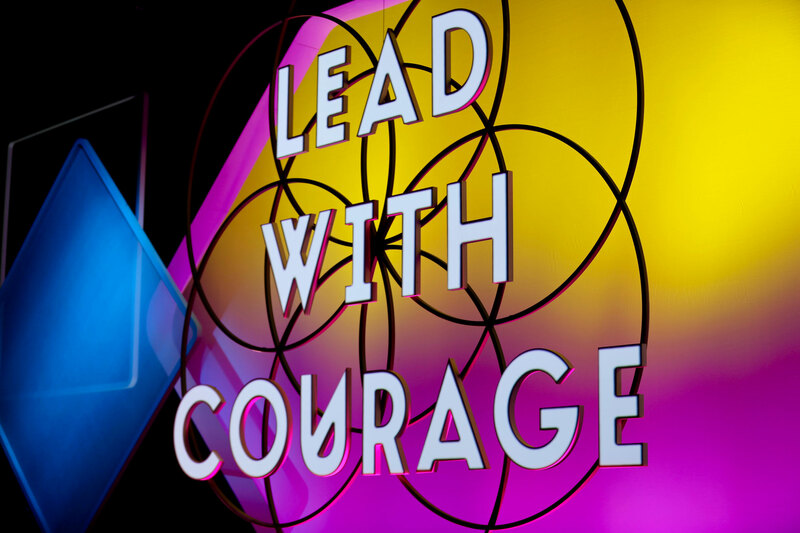 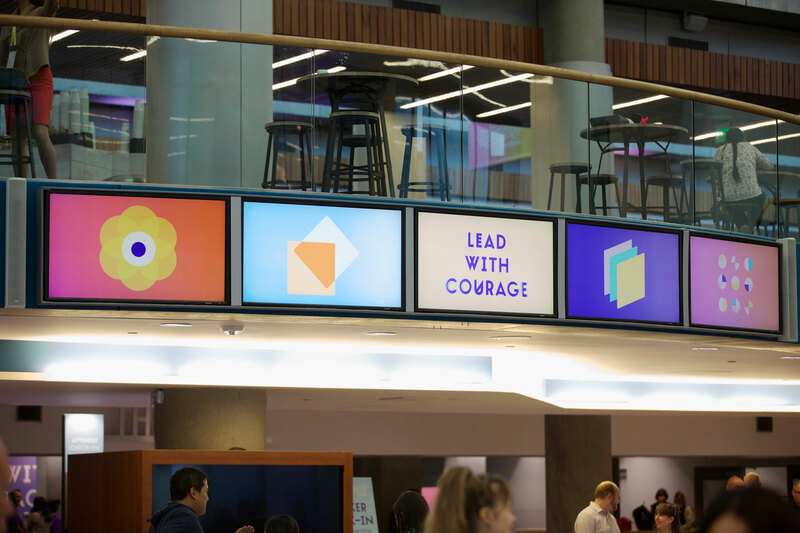 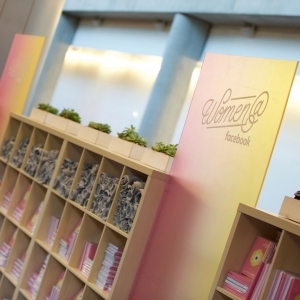 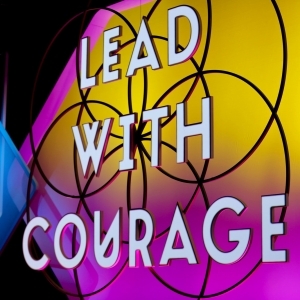 Women@ Leadership Day is billed as “a time to be inspired, network with like-minded professionals, and learn applicable skills to become resilient, effective leaders.” After being part of the magic in the making, we know Facebook hit the nail right on the head. 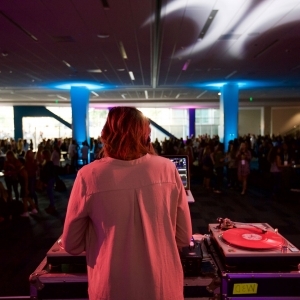 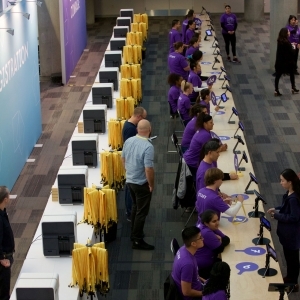 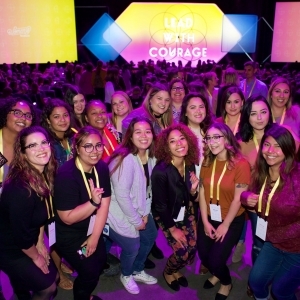 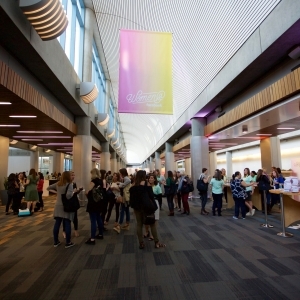 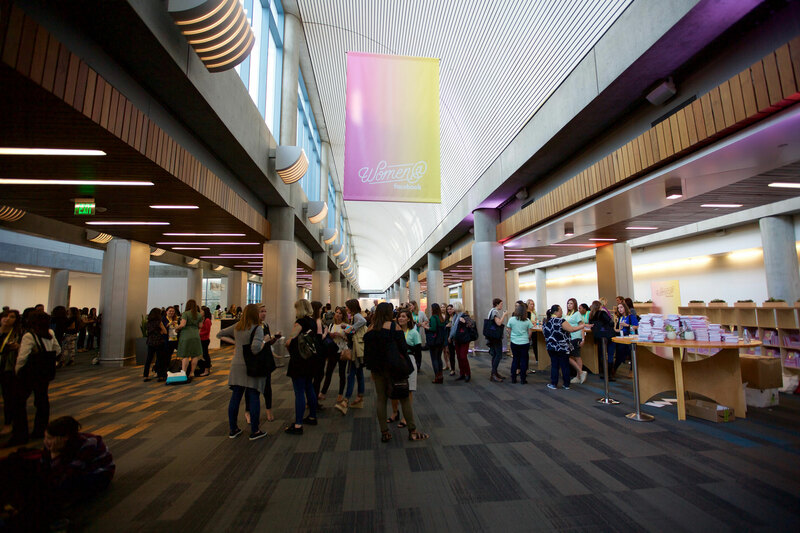 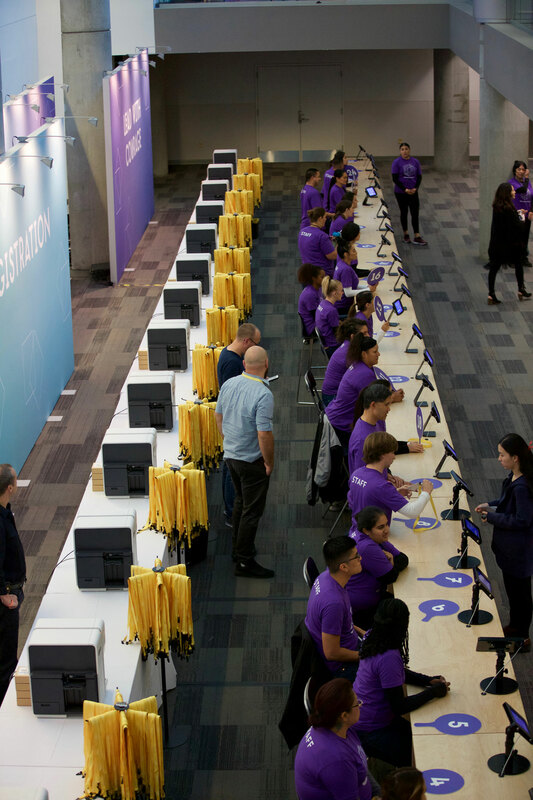 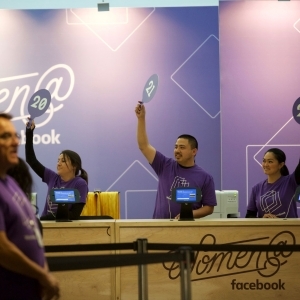 On a uniquely clear and sunny fall morning, thousands of women arrived in San Jose for a day-long event crafted just for them. 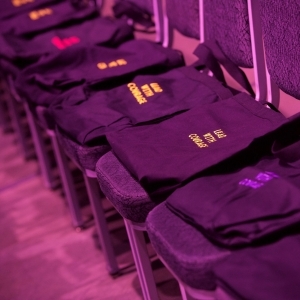 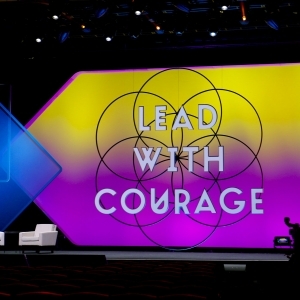 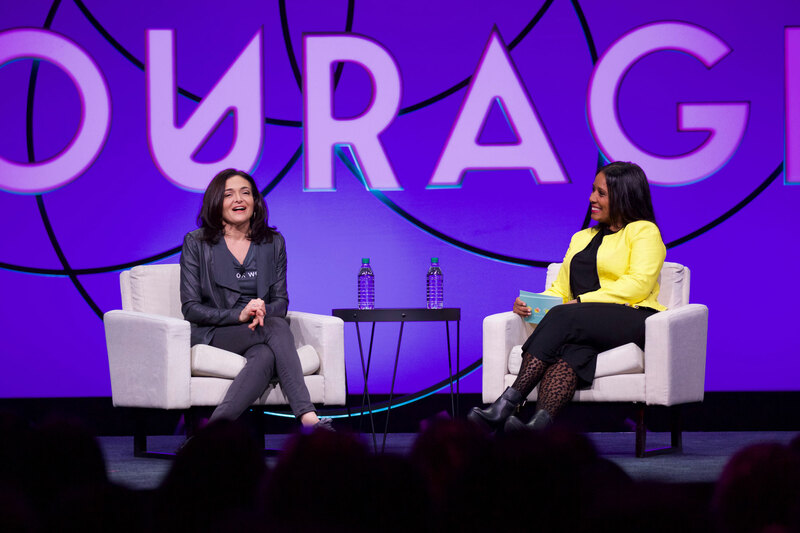 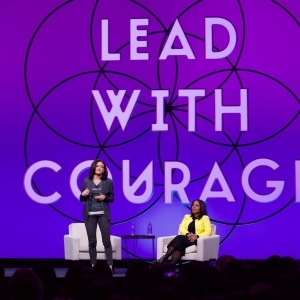 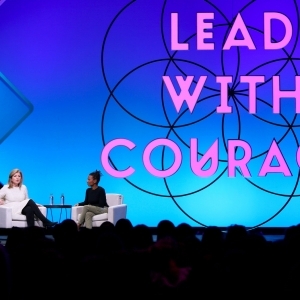 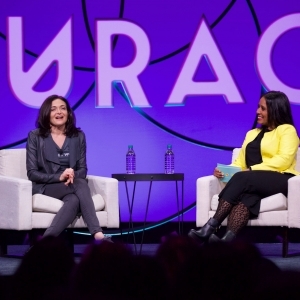 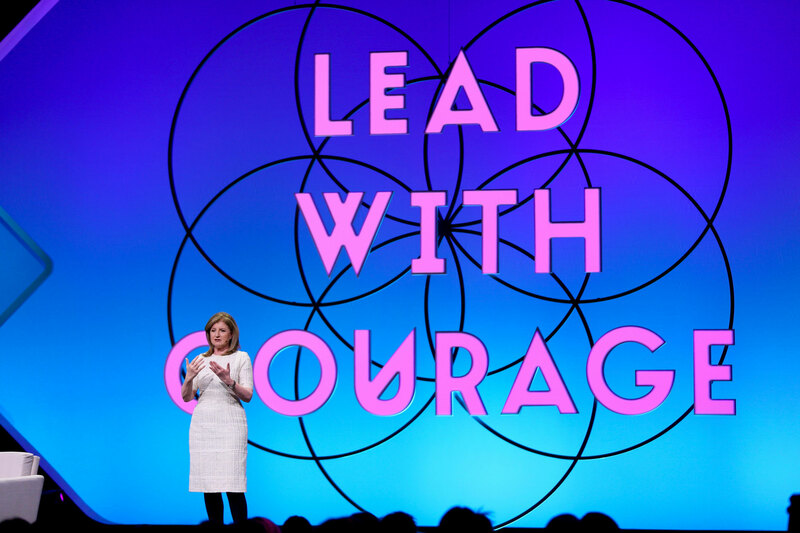 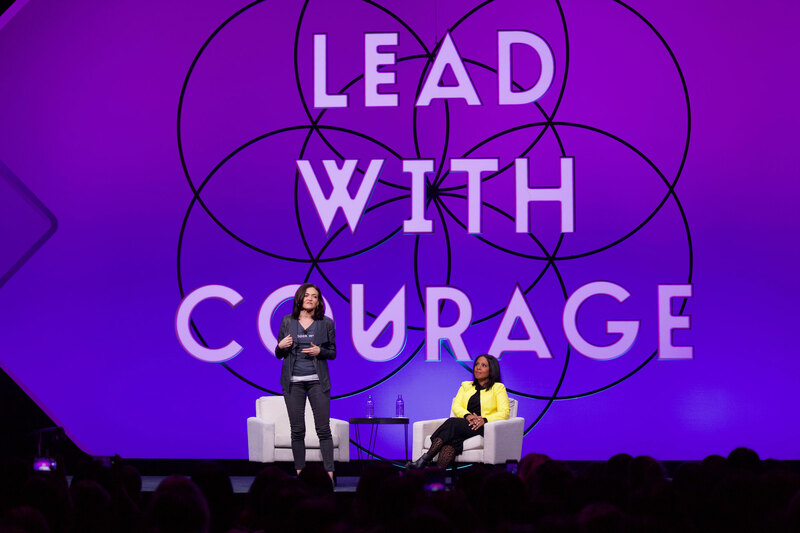 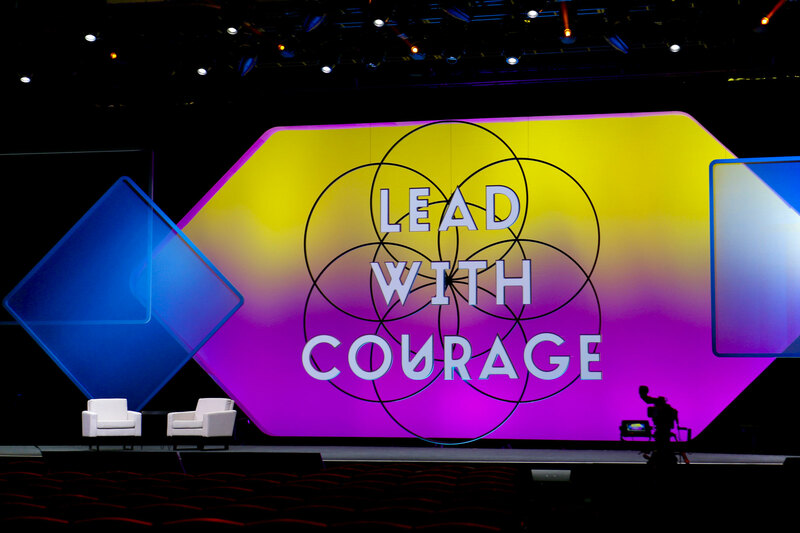 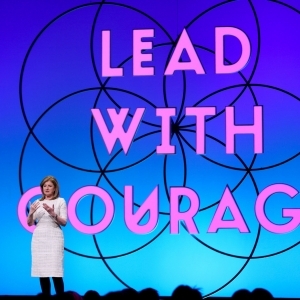 Featuring dozens of high-profile speakers, including Facebook’s COO Sheryl Sandberg, the messaging was all about executive training, smart strategies and best practices. 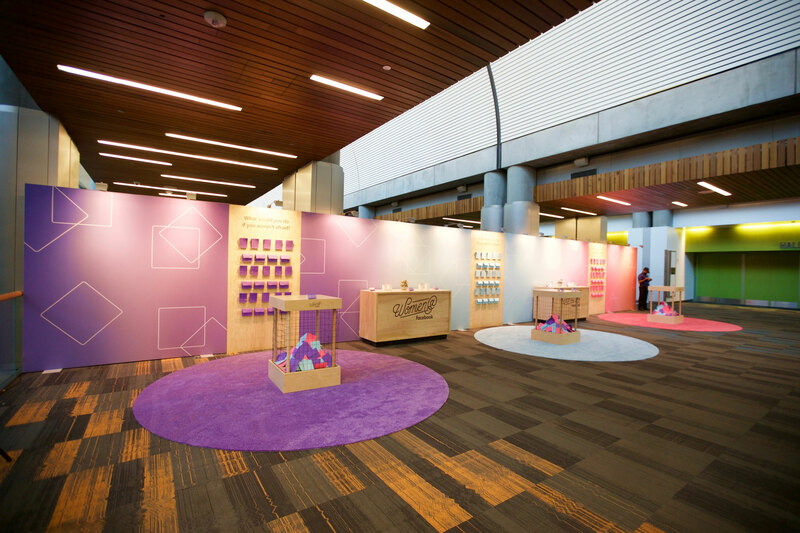 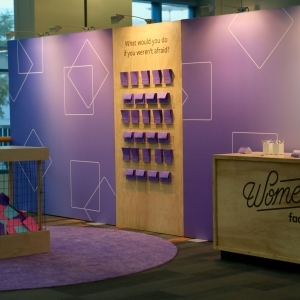 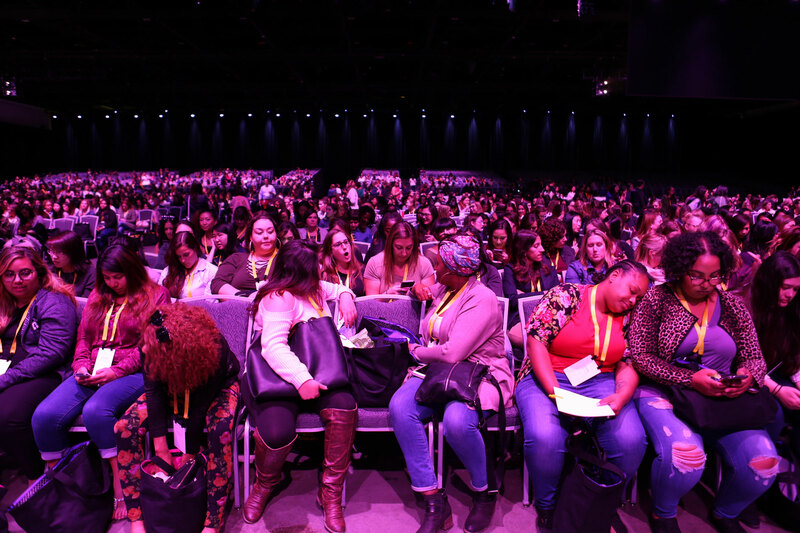 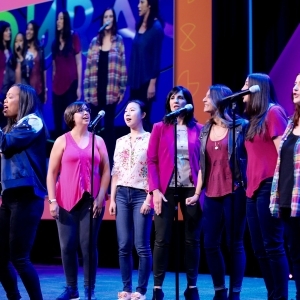 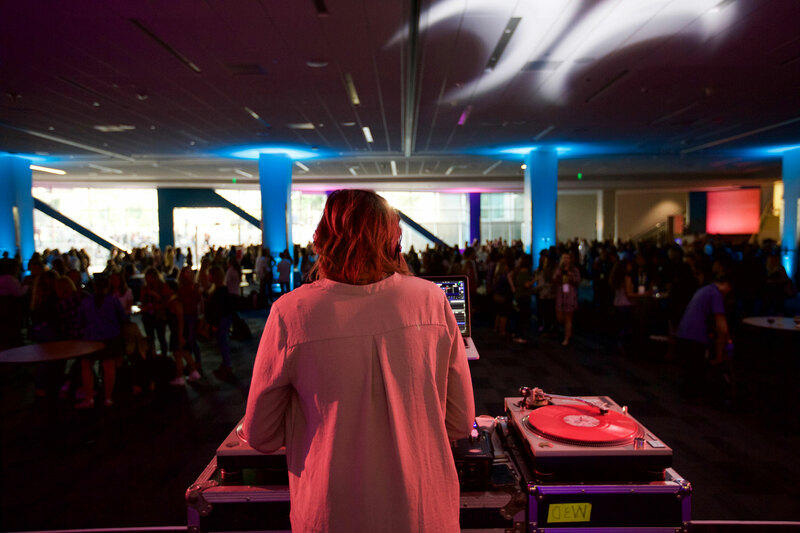 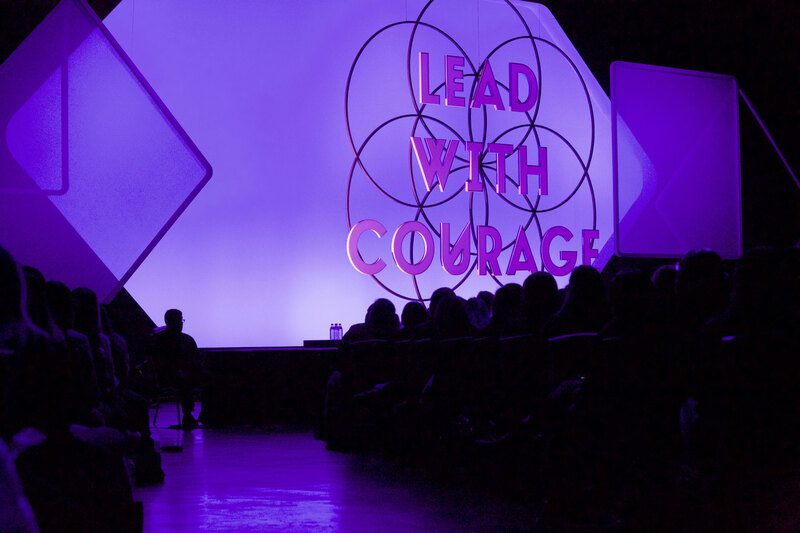 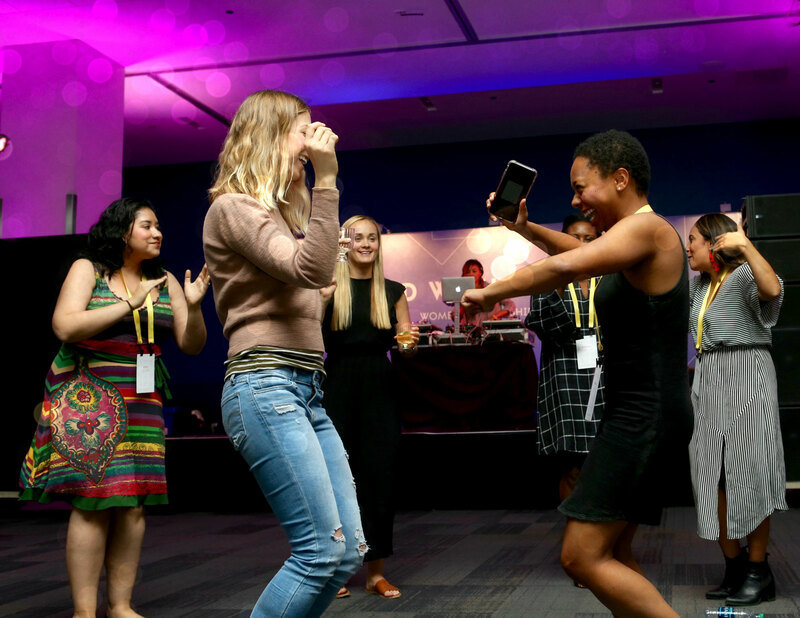 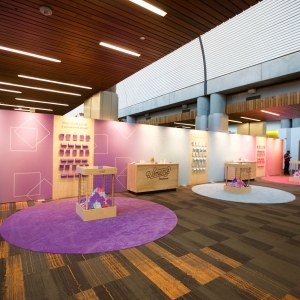 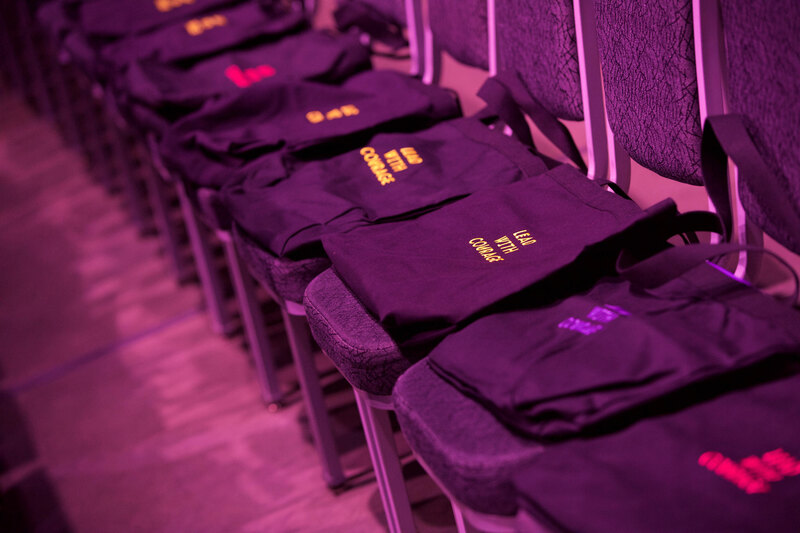 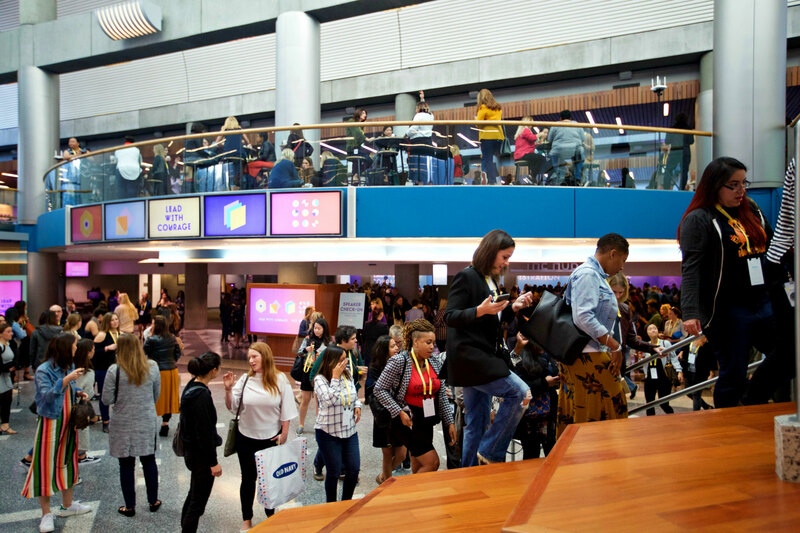 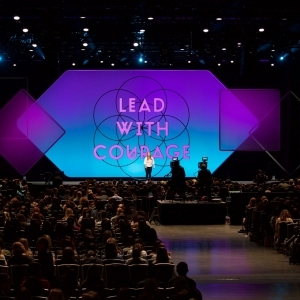 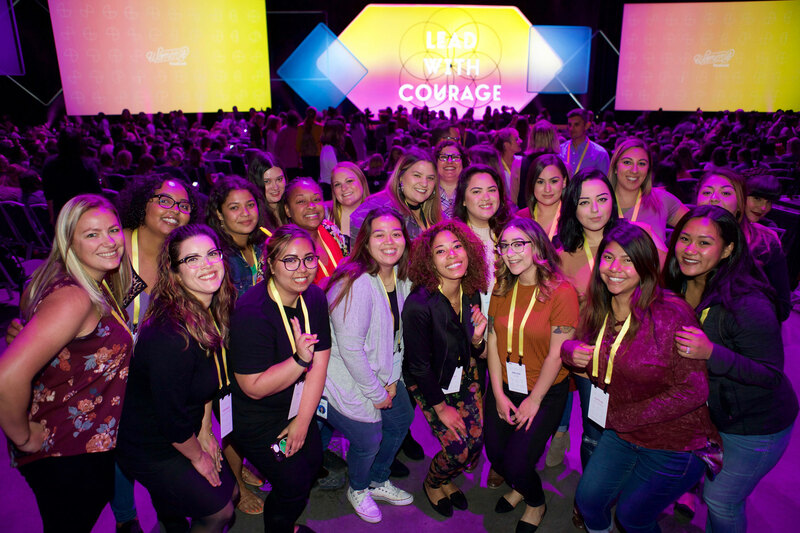 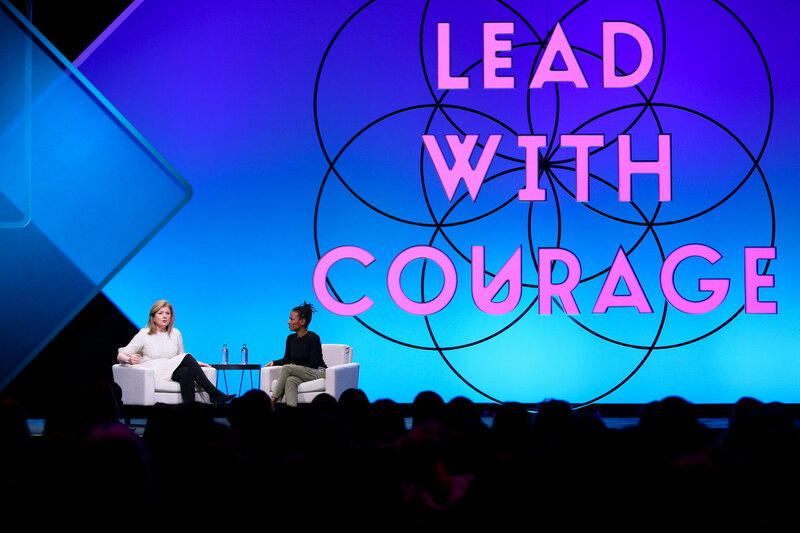 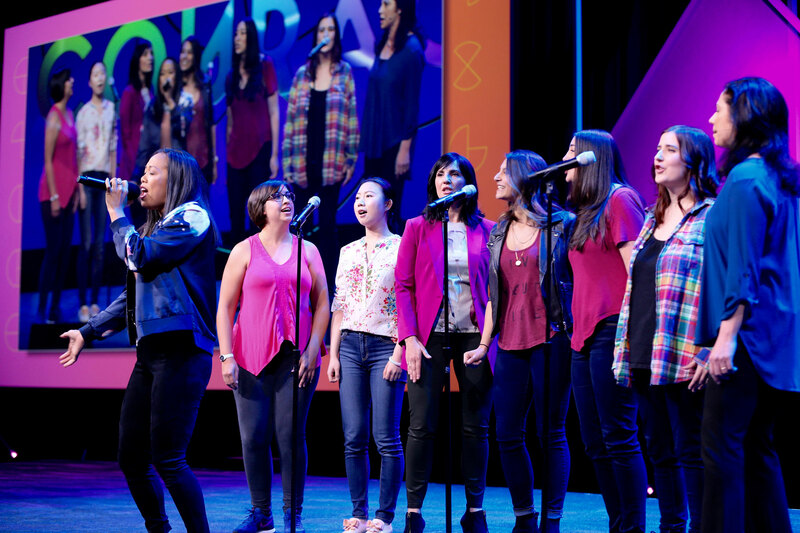 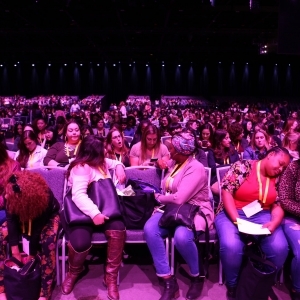 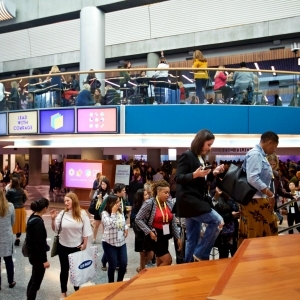 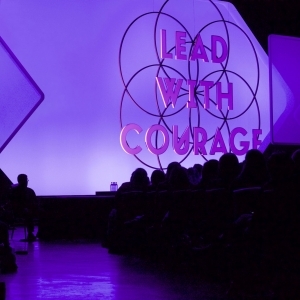 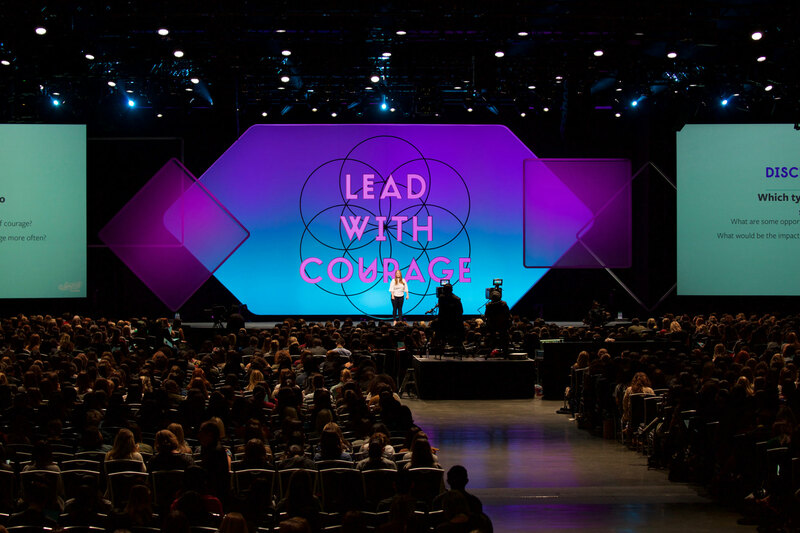 From the expansive yet inclusive keynote sessions to the interactive Women@ booth to the thought-provoking Inspirational Mail Wall, all aspects of this event were designed to help women celebrate their successes, overcome obstacles and realize their own potential. 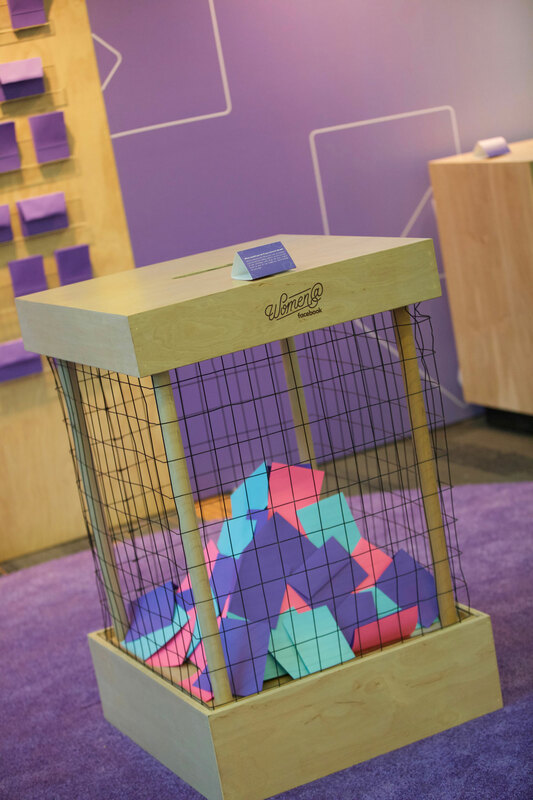 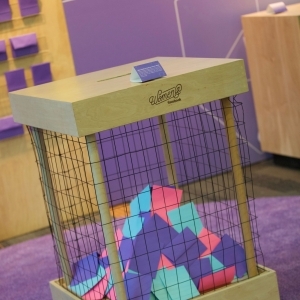 To encourage networking and facilitate new connections, FNTECH provided many small vignettes that functioned as built-in conversation starters – a whimsical floating swing, oversized building blocks and adult set of “monkey bars” to name a few. 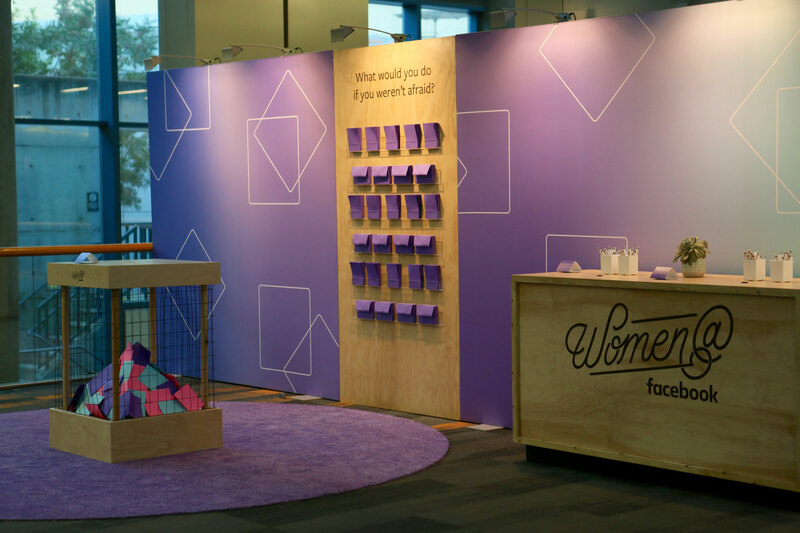 Pop-up booths in a large breakout session encouraged women to talk about key issues like healthcare, finances and quality sleep. 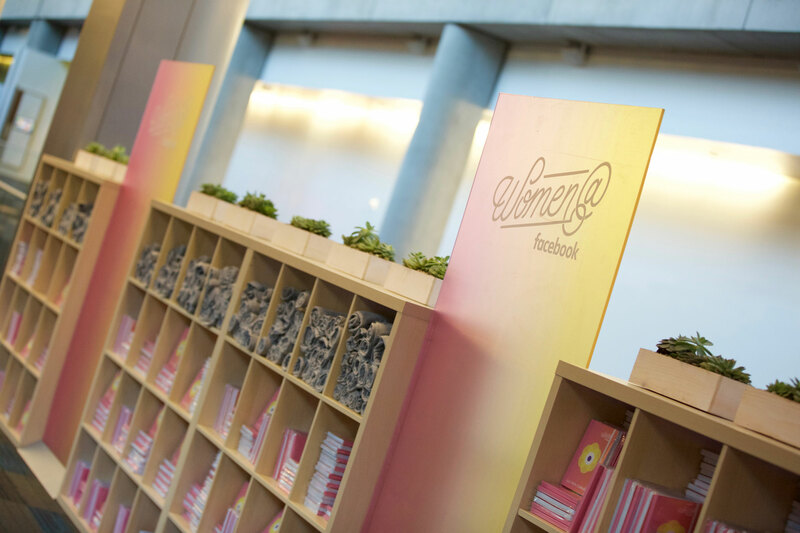 For lunch, the ladies dined under the largest “chandelier” we’ve ever created – part modern sculpture, part stained-glass wonder. 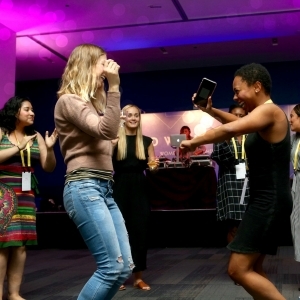 And in the evening, they kicked off their shoes, picked up a cocktail and danced to one of the hottest female DJs around. 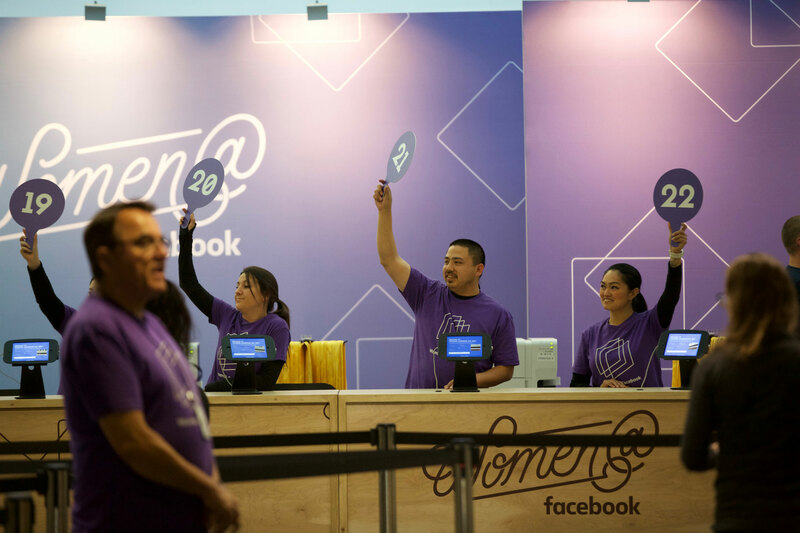 From the smiles we saw on so many attendees, Facebook can count this Women@ mission successfully accomplished.